Find My Family is a common term used by licensed private investigators when they are searching for lost family members such as birth-parents, unknown siblings, half-brother and half-sisters, ex-partners or lovers, and anyone else that you have misplaced from the past. With twenty years’ experience Integral Investigations are quality investigators carrying out many forms of private investigations– including finding missing family or friends. Locating long lost family is a very gratifying part of the private investigations trade compared to many of the other types of projects they take on. Reuniting family is a highly rewarding exercise and they are more than happy to assist in finding long lost family. Most private investigations involving locating family members are carried out in the bureau via online searches – this keeps your cost down. Of course there are investigation cases which require field work, surveillance, and other out-of-office scenarios which can take the cost somewhat greater, but no investigations proceed without informing the client of progress and possible costs. Over the years we have had success in locating adult siblings that were not even known of about; various birth parents – both Mums and Dads; kids that were given up for adoption; natural mothers who made the tough decision to give up their child; and located the father of children after one-off physical relationships. You may have tried to ‘ Find My Family ’ yourself and been unable to find much relevant information. Investigators have many more means than just Facebook, other social media, White Pages and internet so if you have drained all possibilities in search of missing family then feel free to contact us for a free evaluation of your circumstances. After we receive some basic particulars from you relating to the amount and type of information our MD David, will be able to measure the detail and then advise the course of investigation and an idea of costs. He will be able to give you an accurate and frank assessment of the situation and then you can contemplate about your next step. You might find that the cost of a ‘ Find My Family ’ investigation is more reasonable than expected. 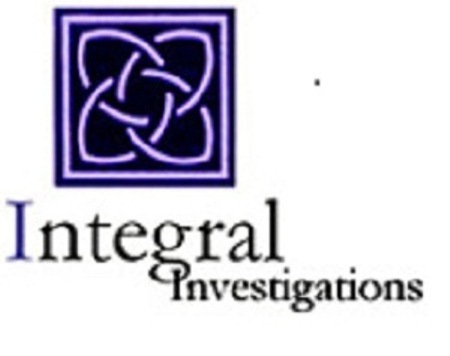 Of course Integral Investigations also does other investigations including family law investigations, business investigations, infidelity investigations, online investigations, surveillance and insurance work. To make an inquiry just got to our Contacts Page and fill out the form, call us direct on +61 2 9460 4988, or email David directly at david@integralinvestigations.com.au . I am seeking advice around locating my bioogical father and/or half siblings, depending on the possible outcome with my father. I am hoping you can contact me and give me some further information or I can provide what little information I have to see what you think this what amount to in terms of cost. We are more than happy to assist you with locating your biological father. Locating long lost family is one of specialties, and we actually quite enjoy this type of investigation. We will be in touch directly by email about the details of this private investigation. Please contact me also, I am also searching for my biological father. Hi Angela, we have contacted you directly regarding locating your biological father. I am seeking assistance to find my birth mother and brother and would appreciate some information on your services and costs. Many thanks ..
Hi Sally, locating long lost family is a specialty of ours and we have contacted you directly regarding your private investigation inquiry. To commence a long lost family investigation we do need some details obviously. You have a name and an area for this person, and I assume a rough date of when he was in that area. We will need to chat to you further before giving you an idea of cost and time-frame for this type of private investigation but normally they fall within a range of $800-$1200. Please email me directly at david@integralinvestigations.com.au with the actual information you do have at hand, and then I can assess the chances of success and cost further before we move forward. I am obtaining my adoption paperwork soon, and would like help in trying to local my birth mother (and father, although have absolutely no info on him) and possible extended family members. Could you please provide an approximate price estimate. To commence a long lost family investigation we do need some details obviously. You will have a name and an area for this person hopefully, and I assume a rough date of when she was in that area. We will need to chat to you further before giving you an idea of cost and time-frame for this type of private investigation because each job is a bit different and depends on a lot of different factors. Normally they fall within a range of $800-$1200 purely as a guideline. Once you are ready to proceed please email me directly at david@integralinvestigations.com.au with the actual information you do have at hand, and then I can assess the chances of success and cost further before we move forward. Based on the time of your inquiry it would appear that you saw the segment with our lead private investigator on This Time Next Year with Karl Stefanovic last night on Channel 9. We carry out many ‘find my family’ investigations and David is well practiced in that area. The issue with your scenario is that your mother was born in the UK and that would mean that her father is likely there, not here in Australia. Whilst we do carry out assignment world-wide we normally need the assistance of a local agency in the country we are looking into, and we would know exactly what information you can provide us before being able to give you any idea of cost or chance of success. Why don’t you email David directly at david@integralinvestigations.com.au and give him all of the detail that you have available, and he will assess the situation and advise accordingly. Hi, trying to locate my birth family from NZ, believe they’re in Brisbane. Locating birth families and biological parents has become a bit of a specialty for us. We do these cases a lot. The cost will depend on what information you can provide us to start with, but generally looking for a birth father costs around $800, and a birth mother could go higher because she may not be under the name you know her by now – this obviously complicates issues. Please get back to us be email at inquiries@integralinvestigations.com.au if you have any further questions ir if you would like to proceed. I was wondering if you could help in anyway to find my Grandfather, or subsequent relatives. My father’s mother was young at the time so his birth was registered as being born to what we now know as his grandparents. She became pregnant to a young Scottish man visiting Bathurst NSW Australia, he wanted to marry her at take her back to Scotland but she wanted to stay with her family. I don’t know his name, I only have a photo and know that he left Australia sometime after April 1931, my father was born in January 1932. not sure if he even knew she was pregnant. I’m afraid you may not have enough information for you to commence an investigation. Our research normally involves a name at the very least – we can’t work off an 80 year old photograph, it’s just not enough. Might I suggest doing the http://www.ancestry.com DNA test. I have had a number of clients with too little background information who have discovered family lines by going through this direction. Once you establish some names a private investigator than then start looking into things and hopefully answer some of your questions. i want to find my son. The cost and the chance of success on locating a person depends on the individual circumstances of the job plus the amount of information you can provide to get us started. Private investigators do not get access to sensitive government databases so if your son is under 18 we have to look for his mother, not the child because there are no databases to search on minors. I am searching for my birth father. I have the name, address and phone number of my birth mother but have not been able to get a response from her. My birth father is not on my original birth certificate nor my adoption certificate. I am concerned if she passes I will never know who he is . My daughter was diagnosed with an auto immune disease. I would like to check the henetics to help her. Can you assist me to find him? Locating biological parents is a specialty of ours. However we normally need at least a name as a starting point. As you have already accessed your birth certificate and no name is recorded for your birth father we do not have a starting point at this stage. Your birth mother seems to be the only holder of this information and your attempts have already been blocked. As investigators we might find ourselves coming up with the same problem -if she doesn’t want to talk to us then we are at an impasse with no information available to commence our investigation. We are happy to assist in any way possible but we do need a tangible starting point. Why don’t you email us the exact information you do have available and we can make an assessment after looking at the actual facts. Send any detail to our managing director, at david@integralinvestigations.com.au and he will do his best to help. The cost to locate a person in this scenario works like this. We charge an upfront fee of $400 to take the job on. This amount is non-refundable. We then commence our searches and if we can’t find the person then there is nothing further to pay. If and when we do find them we then charge you an additional $400 ‘success fee’ and then we give you the results. You only pay the 2nd $400 if we locate a guaranteed address for them so it is a results-based private investigation. We don’t always get contact details but if we find them during our investigation then we pass them on anyway – a result is considered to be the actual whereabouts of the person. On the flip-side of that sometimes we get contact details but not an address ……….. at that point we give you the option to accept the contact details in lieu of the address for the $400 success fee. Our success rate in these investigations is probably about 80% for the $400+$400 scenario. If this is something you would like to proceed with or if you have any questions just email our head investigator David, at david@integralinvestigations.com.au and he will assist further. Hi, I am wanting to find/get in contact with my birth father so I am curious as to how much it would cost to do a search? Locating a biological father is often easier than locating a biological mother because the father would have been unlikely to have had a name change. So assuming you have a name and an idea of age then we are off to a good start. The way we charge for this sort of private investigation is to take an upfront fee of $400 to commence the location investigation. If we can’t locate your birth father then there is nothing further to pay but we do keep the $400 to cover our costs. If we do find him then we charge you an additional $400 as a ‘success fee’ and hand over the answer. We don’t always get a contact number but at the very least we can supply an address – if any contact points become available (such as phone, email or Facebook) we will pass them on as well. Hi there. We’d be happy to help but your information is very limited. One of the key issues when searching for a person is the name obviously, and a general location – if you think there person has located to another country we have to use a local affiliate to access the information on our behalf. The USA is such a big country and we will definitive need more information to commence this type of investigation over there – a name may not be enough. If searching in Australia you probably have enough information to start the investigation because one can expect that whist WILLIAMS is a common name, the christian name of Jessie wouldn’t have been common back then. Please advise if this is the only information you have and then we can talk costings depending on where we are to start searching. My half-sister has been searching ways to find her biological father. We only know of his first and last name but unsure of the spelling. We have a picture of him from maybe 15 years ago. We know he resides in France. Since he is not a local in Australia just wondering how much further the costs would be in the missing person is in a different country?? Locating a biological parent in another country obviously adds another layer of difficulty and cost to it. It is hard to give an exact cost on any investigation and the extra issue with an investigation in France is the fact that we pay in Euro and don’t get much value for money. Other issues will be the fact you don’t necessarily have the proper name ……. so we can head off on an investigation and not get to the end because the name might not be correct – all something you have to consider before commencing a biological father investigation. Without being able to lock in a firm price I think you would be looking at between about A$1200 and A$2000 to be able to give yourself a reasonable chance of locating him, and there will be no guarantees. If you have any further questions please email me directly at david@integralinvestigations.com.au and we can look into it further for you. My father’s grandmother was born in Guernsey. She abandoned her family and was never heard from again, despite best efforts at the time. We have since found a death notice from Sydney Australia from 1926, with her first, maiden, and married name, so feel it must be her. Is it within your scope to investigate the details of her immigration or life, or even find where her remains are? I’m sorry, I realise you must usually work with living people! You are correct – we usually do look for living people using current databases. Having said that we do a fair bit of historical investigation as a part of this so we do have plenty of experience in investigating family history in Australia. We do have access to a number of historical databases which could answer all of your questions and solve those missing parts to your family tree. One of the issues we have though is that records can be sketchy and we do come up with dead-ends or we end up on some strange tangent only to find that it may not be related to the investigation at all. We charge $220 per hour for our family history research and I would suggest a budget of 3 hours in the first instance to see what we can get. Then you can assess if you have enough information at hand, or would like to keep looking and see what else we might find.